Pro-Temp is the choice for both the Professional and Do-It-Yourself looking for portable outdoor space heat. Regardless the need, we have the right heater for you! 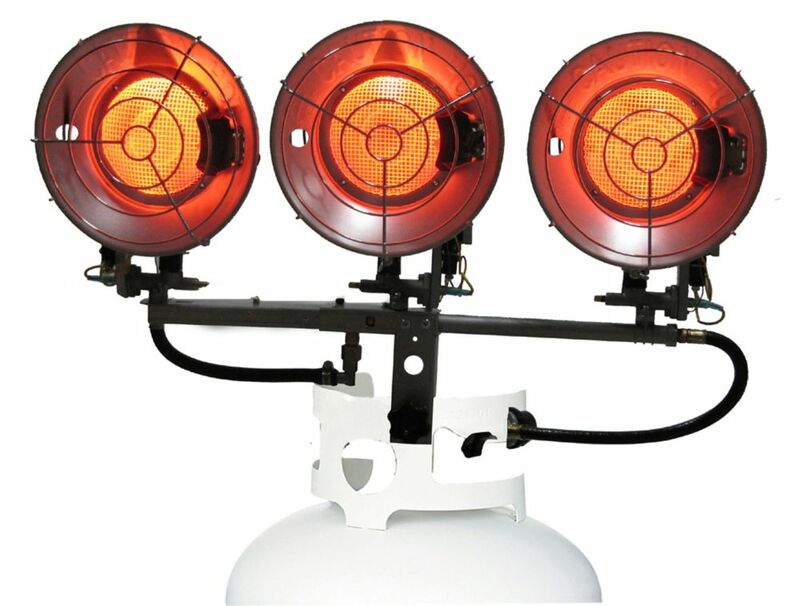 Pro-Temp heaters are ideal for garages, workshops, construction sites, warehouses, aircraft hangers, farms, hunting, fishing, tailgating, and any application where portable heat is needed. All Pro-Temp LP Tank Top Heaters require NO Electricity to operate and work on 20lb (gas grill) tank. Models feature wind resistance, safety tip-over switch, easy match light ignition, radiant style heat (like the sun), rear burner safety guard, rust proof chrome emitter guard, and swivel burner head (multi-directional heating). All heaters are CSA certified! The Heat Guard is an accessory to be ussed with Amaze Heater 400SS. It gives the Amaze Heater additional benefits: Safe to touch, provides extra safety for children and pets by lowering exposed surface temperature. Heat Guard provides double convection and therefore increases efficiency of heat distribution. It can be decorated or painted due to lower surface temperature, the Heat Guard can be painted to match the decor or decorated with stickers. DEWALT&nbsp;industrial forced air propane heaters, are construction-grade quality built for the Canadian winter. They're manufactured with a rugged two-piece barrel, ergonomic handle, and engineered with Quiet Burner Technology (model 125 and higher). They're typically used for workshops, barns, job sites, and home remodelling. CSA approved, and tested on the jobsite, they're Guaranteed Tough. 47,000 BTU Triple LP Tank Top Heater Pro-Temp is the choice for both the Professional and Do-It-Yourself looking for portable outdoor space heat. Regardless the need, we have the right heater for you! Pro-Temp heaters are ideal for garages, workshops, construction sites, warehouses, aircraft hangers, farms, hunting, fishing, tailgating, and any application where portable heat is needed. All Pro-Temp LP Tank Top Heaters require NO Electricity to operate and work on 20lb (gas grill) tank. Models feature wind resistance, safety tip-over switch, easy match light ignition, radiant style heat (like the sun), rear burner safety guard, rust proof chrome emitter guard, and swivel burner head (multi-directional heating). All heaters are CSA certified!